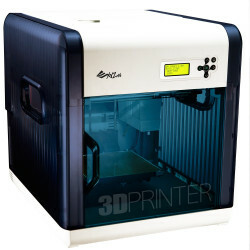 XYZprinting’s da Vinci Junior is the latest innovative and compact 3D printer designed for the consumer market. 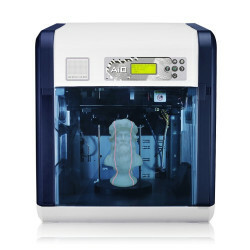 The device’s all enclosed printing area and non-heated bed ensures user’s safety, and since the printing system utilizes a low amount of power, it makes the da Vinci Junior one of the most eco-friendly 3D printers on the market. 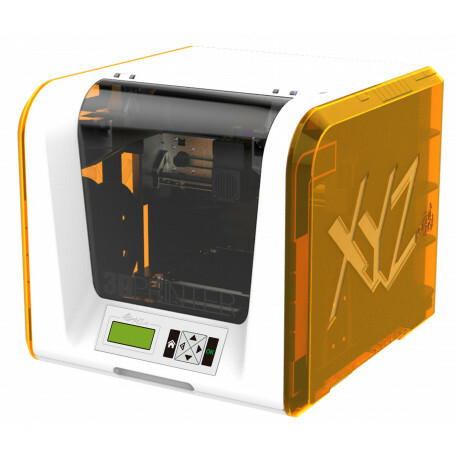 Complete with the innovative and user-friendly features of XYZprinting’s current award-winning and top-selling printers, such as smart filament cartridge systems, nozzle cleaning, and one-year limited warranty at no-cost, the da Vinci Junior is the best valued 3D printing solution available, especially for educational and entertaining application. Safety-ensured: The non-heating bed ensures a safe printing environment. SD Card Support: Built-in SD card slot allows users to print from SD card directly. Easy Loading: Adopting NFC technology makes filament detecting and replacing easy. Cloud Database: XYZprinting’s design gallery is a public cloud database with thousands of 3D models for downloading. The gallery is also open for uploading users’ designs. 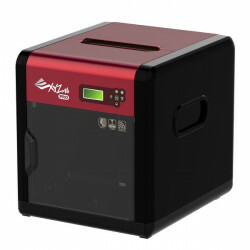 Lightweight Design: The compact and seamless printer weights only 12kg. Low Electricity Consumption: The system consumes only 75W of power for printing. Don’t let its new slimmer and lighter look fool you! 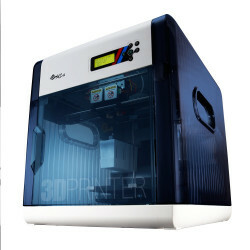 XYZprinting’s brand new 3D printer, the da Vinci Jr.,has a robust build size of 5.9” x 5.9” x 5.9” and a resolution of 100 to 400 microns all at the amazing price of $349! Easily the most affordable and accessible 3D printer in the market, the da Vinci Jr. is perfect for first time 3D designers and aspiring inventors. This desktop 3D printer makes for a fantastic addition to your home, office, or classroom. Calibrating your 3D printer for your prints can be a huge pain, but now with the da Vinci Jr. you no longer have to! This simple and easy-to-use 3D printer requires no calibration and also a new auto-loading fillament system for an easy, more convenient, 3D printing experience. The da Vinci Jr. now features a fluid press-and-release extruder-- making for an easy extruder replacement. 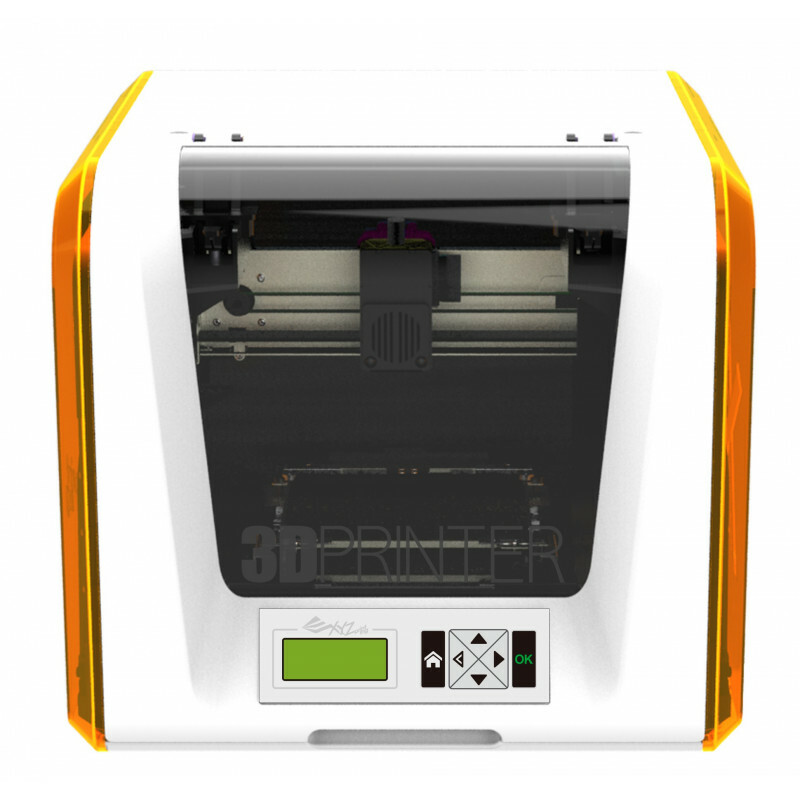 Simply open up your 3D printer, press the release button, and the replacement can be done within few seconds. The da Vinci Jr. has a brand new refillable filament system!Simply replace the filament spool in the da Vinci Jr. to make refilling easier than ever before! 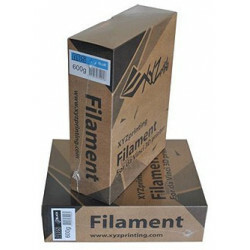 Our new PLA filaments are a non-toxic,biodegradable plastic that is recyclable and safe for the environment! And that’s not all, due to its new compact design, the da Vinci Jr. only consumes 75 watts of power! This eco-friendly 3D printer makes sure that nothing goes to waste when you 3D print with XYZprinting. The da Vinci Jr. is built with your safety in mind ; with it’s completely enclosed designed and non-heated print tray, children, first-time and seasoned printers can enjoy countless hours of creative 3D fun. Get connected and be inspired by joining our online 3D design community,the Artist Collection, where you can share or upload your 3D designs online. A 3D printer for everyone to enjoy… XYZprinting’s da Vinci Jr 3D printer.